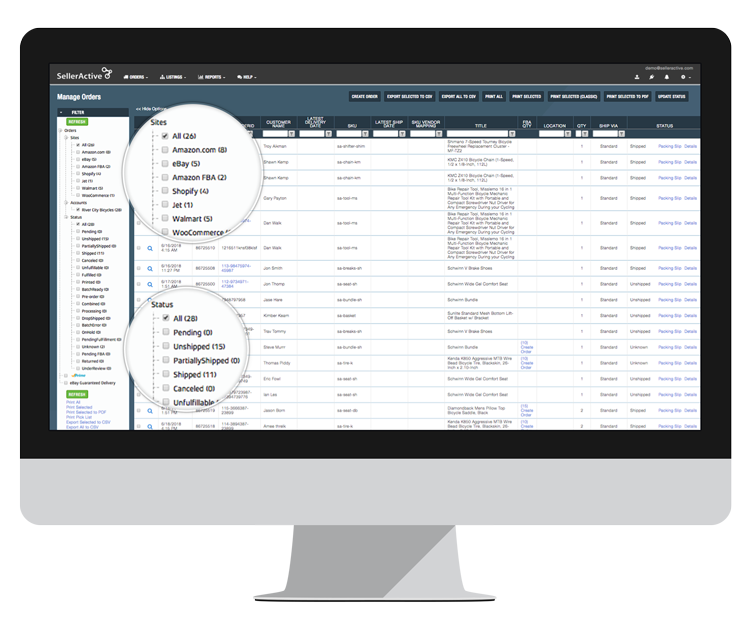 Easily build a centralized product catalog inside SellerActive, and bulk upload your new listings to Sears, and more. With bundle uploading, you can quickly link multiple SKUs under one listing, and with variation support, you can save time by importing multiple colors and sizes to SellerActive. 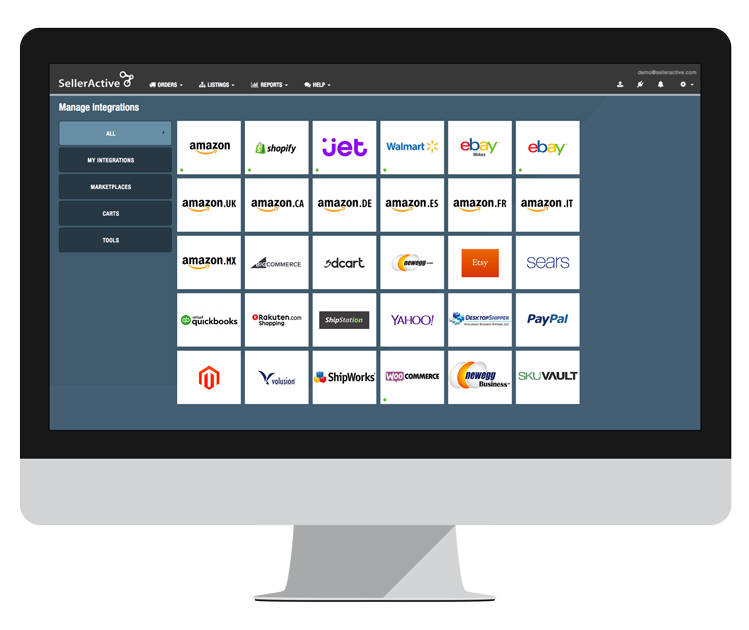 Control orders from Sears, Amazon, eBay, and many other marketplaces and e-commerce platforms in one easy-to-use dashboard. 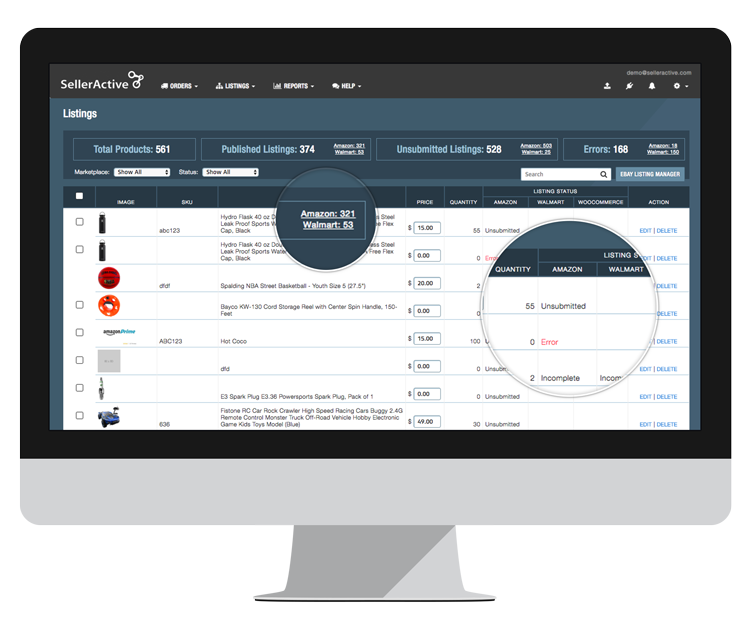 Handle orders from Sears, and every other marketplace, from one browser-based dashboard. You can even use your FBA inventory for cross-channel fulfillment with Sears, eBay, Shopify, and more.